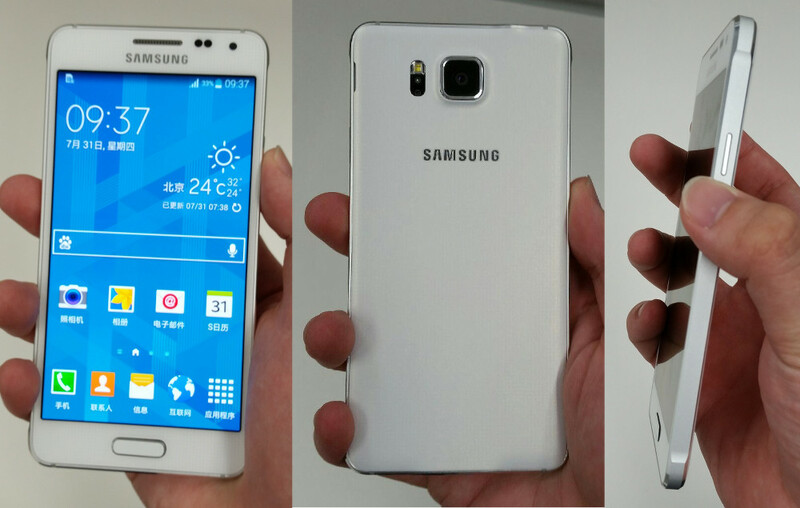 The Samsung Galaxy Alpha, a phone that may be the first to put to use those “new materials” referenced by a Samsung executive last week during the company’s Q2 earnings call, appeared in a new set of high-res photos over the weekend. 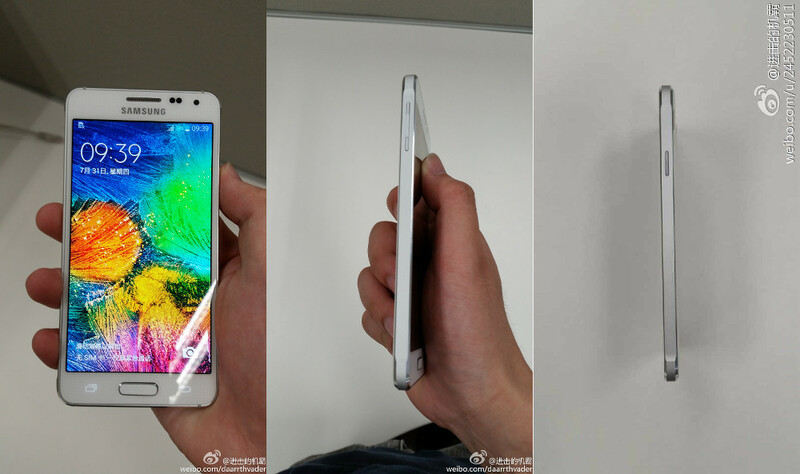 The photos certainly seem to confirm previous rumors, that the device will indeed include a metallic band around its outside, giving off what should be a more premium feel than past handsets. “New materials” could mean more than one, but I think it is safe to assume at this point that at least one of them is metal. In the new set of photos, we get a look at the device in someone’s hand, but also side views that clearly show a chamfered edge along its sides. If you want to say that this phone looks a hell of a lot like an iPhone from the side, I don’t think you will find many to disagree with you. While I don’t think you can patent a chamfer, Apple did it early and well. As far as the size of the device goes, it looks like a small enough device that one could handle it without the use of a second hand. That form may have also led Samsung to drop the specs a bit, as it is rumored to carry only a 4.8-inch 720p display, rather than the 1080p panels that the company has used in flagship devices over the last couple of years. The rest of the rumored specs include an Exynos 5433 processor, 2GB RAM, 12MP camera, 32GB of internal storage, and Android 4.4. Thoughts on the device? If Samsung were to carry this metallic design into future flagships, like the Galaxy Note 4 or Galaxy S6, would you be more interested in them?